Participants in an upcoming cleanup on the Clackamas River will search for trash underwater, from boats and on land. 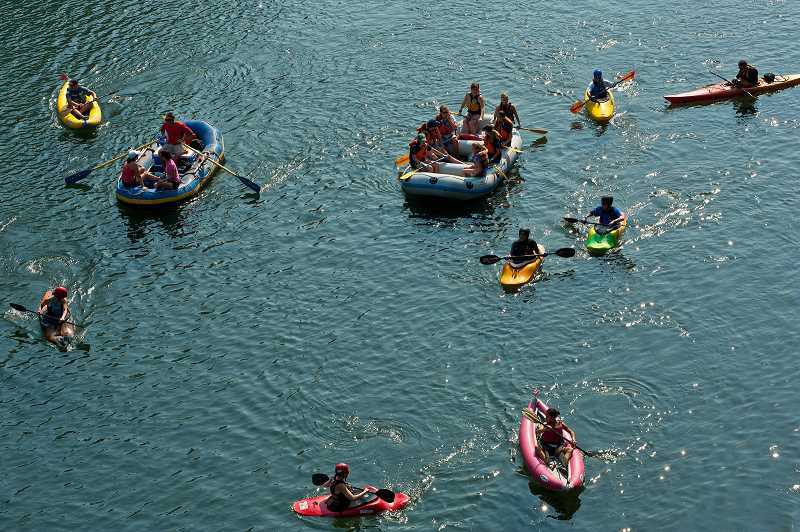 The 16th annual Down The River Cleanup, organized by We Love Clean Rivers and the Clackamas River Basin Council, is scheduled for 8 a.m. to 3 p.m. Sunday, Sept. 9. The event covers a 20 mile stretch between Estacada and Oregon City, and volunteers can begin their day at Milo McIver State Park, Barton Park, Carver Park or Riverside Park. After the cleanup, volunteers are invited to a barbeque at Barton Park. Alix Danielsen of We Love Clean Rivers noted that both frequent and new visitors to the popular stretch of water along the Clackamas are welcome to participate. "The event was spearheaded by members of the boating community who wanted to give back," she said. "There are a lot of different ways to engage with the river, and (the cleanup) is perfect for those who engage with the river all the time or are doing it for the first time." The cleanup typically draws around 200-300 attendees. While most people collect litter from boats, others act as safety captains on the river and garbage scouts on smaller boats who ferry full trash bags from the boaters back to shore. 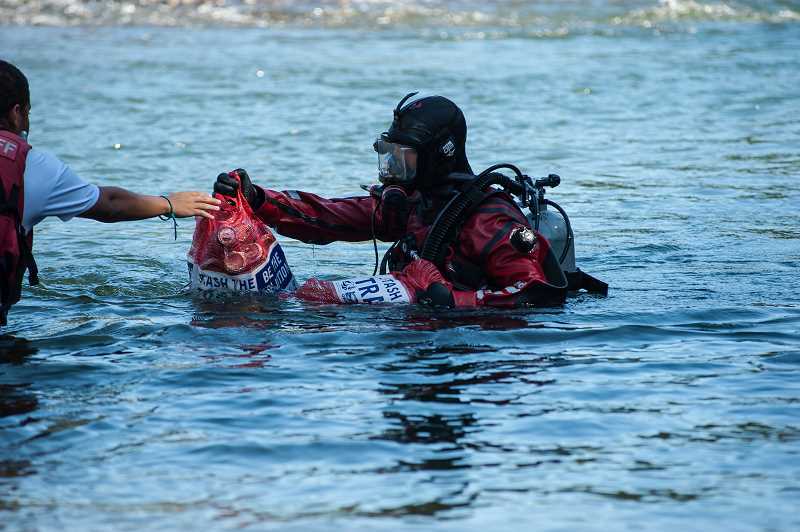 Scuba divers search for items underwater. Additional volunteers help with registration and sorting the garbage once it makes its way back to land. "It really comes together," Danielsen said. "Everyone works to get the job done smoothly." She added that the event offers a strong sense of community. "It's really inspiring, the people who have been at the cleanup every year for 16 years," Danielsen said. She noted that several of the event's traditions stemmed from its longtime volunteers. For example, one participant often found single flip flops when searching for trash. He then fashioned his finds into a doormat. 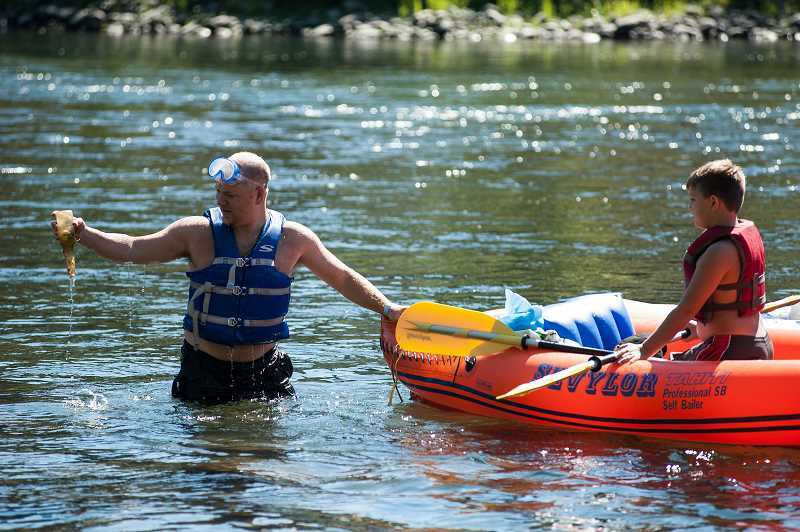 "(The cleanup) is a really important event for the Clackamas River watershed and the community that surrounds it," Danielsen said. "The river touches a lot people. It's a really important opportunity to give back." Participants in the cleanup on Sunday, Sept. 9, should register online at www.welovecleanrivers.org/clackamas-down-the-river-clean-up-sep. Volunteers can begin their day at Milo McIver State Park, 24101 S. Entrance Road; Barton Park,19009 S.E. Barton Park Road; Carver Park, 14888 S. Springwater Road; or Riverside Park, 17298 S.E. Water Ave.